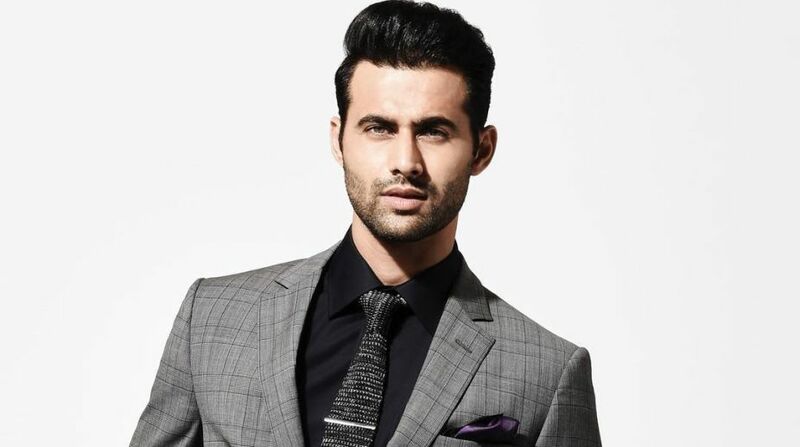 The hazel-eyed hottie model-turned-actor Freddy Daruwala whose role as a villain in Holiday alongside Akshay Kumar, and then in Force 2 and Commando 2, will play a villain — Rana — in Race 3. In an interaction with www.thestatesman.com, he talked about his role, his new films and fitness secrets. The youth look up to you as their fitness guru, what is your mantra for staying fit? My only mantra for being fit is you do not have to go anywhere, do not have to spend money for it, it is just that fitness is the cheapest wealth you can earn. So just do not give excuses and it will never go take you anywhere. Even if there is a hassle around just run, jog, skate, swim whatever you can do, anywhere, in your house, in your room wherever you can do. One who wants to stay fit will definitely stay fit. Cricket is in my blood, I grew up playing cricket. I played it at the district level but I also played basketball. My mom says sports is cricket, so I have an expertise in cricket. I also watch loads of motorcycle racings; I being an outdoor person absolutely love sports. I am preparing myself for the World Cup. You are now working with stars like Akshay Kumar and Salman Khan, how has your own journey to stardom been? The journey has been quite amazing. Honestly, I was very lucky that my first film was with Akshay (sir). He has been very kind and supportive so has been Salman (sir), there is a lot to learn from seniors and the most important factor is how they nurture your talent. They also give you enough space so that best performance comes out. We hear that people get insecure about their roles, but these stars are very helpful and you always feel secure. Tell us about your role in Race 3. In Race 3, I’m playing the role of Rana who is a bad guy, nosey. My role is not like the one had in Holiday. Rana is not motivated by anything, he just wants bloody money, he is nosey, he just wants to get into everyone’s business, take over the business and this is what brings him into the family matters. He interferes, like “Our Business is our business, none of your business” — this dialogue actually applies to Rana. Does critic’s verdict affect you? When you are a newcomer to the industry, it matters a lot. Over the time, critics are no more part of journalism, they are more on the business side. 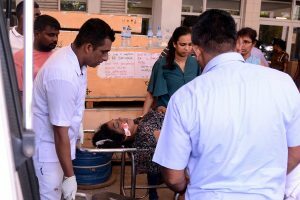 Each one is involved in the film and it is a hard work. Therefore, for now, the verdict of critics does not bother me and I give my role and job a 100%. Tell us about switching from modelling to acting? It is not an easy transformation but it is a natural progression. We get loads of exposure as we enter the world of fame. It is a natural progression but not an easy job. it is a belief that models cannot act, so changing that belief was quite a big task. I worked on many to hone skills and am still working on many. You have a huge fan following. Any crazy fan moment you remember. I have been very lucky as people loved my first film; it is as if they do not remember my name but they know where they have seen me. It is great that our films which we do reach to the masses. One incident I remember, a person came up to me with his girlfriend and he said: “I watched your film so many times, I like and I just want to hug you, I was like your girlfriend is standing with you”. Another one came up and said, “I watched your film 27 times”. What memories you have of Race 3 co-stars. Saqib Saleem and Bobby Sir used to play cricket on the sets. All of us are foodies, Jacqueline is into fitness. It is so fun on the sets. Recently, you acted in a Telugu film, Touch Chesi Choodu. Was it difficult to grasp the language? Language is never a barrier when it comes down to show your emotions. Acting is an expression of emotions. It is not important that you should get hold of the language. They made sure that I am able to understand the dialogue and it is a fun to learn a language. After doing negative shades, are you worried that audience may not accept you in a positive role? People come up and tell that you should be in a positive role. I feel good that they have installed me in that phase. I am doing a Gujarati film, which has a positive role in it. My lines are blurred and my characters are displayed in such a way that it shows me as a hero. Apart from Race 3, any other regional or Bollywood film in the pipeline? I have a film named 96 Hours, the biggest web series with Alt Balji and I’m working on a Gujarati film and it’s one of the kinds of action film and it seems like a busy year. What about romantic roles, in case you get an offer? I am a die-hard romantic movie fan. I will love to dance and do a romantic scene in my upcoming films. Romantic roles of Ranbir Kapoor, Ranveer Singh, Shah Rukh Khan, Salman Khan and Varun Dhawan, I love them. Films like Prem, Maine Pyar Kyu Kiya, DDLJ are the roles I really look up to.